The Authentic Towns of Tuscany Tour is leisurely sojourn through the small hill towns that dot this gorgeous landscape. Your trip through Tuscany includes visits to vineyards where you’ll sip the finest wines, medieval villages where you’ll discover the region’s enchanting history, all while indulging in the region’s alluring culture and mouth-watering cuisine. The authentic Tuscany tour itinerary includes visits to San Gimignano, Lucca, Siena, and Pisa. Your home base is the spa-town Montecatini, where you’ll stay for 7-nights. 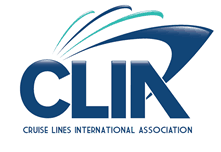 For the price of the tour with airfare from your preferred city submit the form or call ItalianTourism.us 800.227.1577. Spend your free night in a gorgeous villa overlooking the beautiful spa town of Montecatini Terme and feasting on delicious Tuscan cuisine. You’ll dine in high style at this country estate that was once a family farm house. Live, traditional entertainment and wine are included in this magical outing. Now a family owned boutique inn and restaurant, the villa is known for its thoughtful hospitality, elegance, and homemade olive oil. 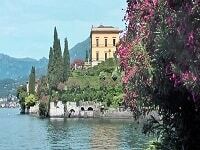 Stroll through its magnificent gardens and enjoy views of the rural hills and Montecatini Terme. Take advantage of this remarkable opportunity to step into a local Tuscan restaurant’s kitchen and learn the secrets of traditional Tuscan cuisine. A brief tour acquaints you with the kitchen at this rural gem amongst the Tuscan countryside. Discover the bounty of fresh, local ingredients and learn the techniques used in traditional Tuscan cooking that has been passed down for generations. Then sit down and enjoy the fruits of your labor with a leisurely four-course dinner that includes wine and dessert. You will also receive recipes for the dishes that were prepared so you can show your friends and family at home how to really cook Italian style! 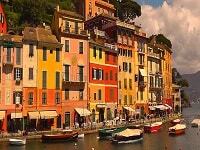 A short ride from Tuscany’s hill towns to the Ligurian coast is the spectacular Cinque Terre. Here five small villages of Rio Maggiore, Manarola, Corniglia, Vernazza & Monte Rosso are all part of the Cinque Terre National Park and a UNESCO World Heritage Site. Your tour will include a visit to at least two of these spectacular villages, nestled in the cliffs overlooking the sea and the surrounding hillsides. * Exact tour itinerary and villages visited to be advised locally. Operation of the tour is subject to weather condition and group size. Click here for tour highlights. 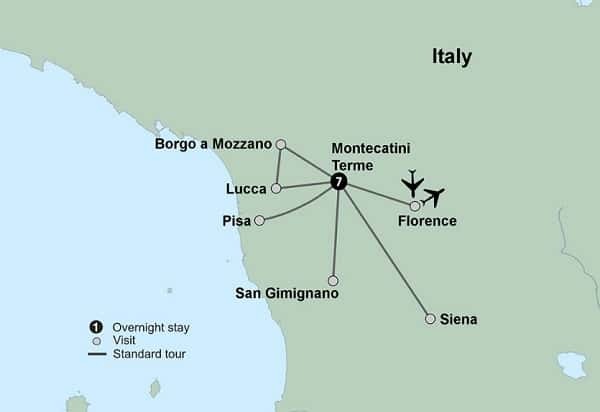 Check the box next to the departure date of the Tuscany highlights tour you would like to join. Your adventure begins with an overnight flight to Italy. Rolling landscapes, savory wines, delicious food, and stunning architecture…this can only be Tuscany. 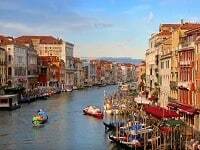 On this special journey, you will enjoy walking tours in Italy’s most charming towns, visit magnificent historic monuments, and sample mouth-watering cuisine and wines. Your tour opens in the famous spa resort town of Montecatini Terme, your home for the next seven nights. This evening, get acquainted with your fellow travelers during a welcome dinner where regional foods and Italian wines kick off your Tuscan adventure. A cultural tour in the “Cradle of the Italian Renaissance” showcases the beautiful city of Florence. A local Florentine guide highlights many of the city’s priceless treasures including a visit to the Academy Gallery* – which houses Michelangelo’s monumental statue of David. At the Piazza del Duomo, which is the center of religious life in medieval Florence, you will see the impressive Cathedral of Santa Maria del Fiore and the gilded bronze doors of the Baptistery dedicated to St. John. The remainder of your day is at leisure to explore this unparalleled city as you choose. Set out on a guided visit to Lucca, Tuscany’s best-kept secret. Offering Renaissance walls, Romanesque churches, medieval streets flanked by towers, and delightful squares, Lucca is sure to charm you. Visit the Basilica di San Frediano before stopping to explore the home of well-known composer Giacomo Puccini where you will see the piano on which he composed Turandot. Enjoy some leisure time for lunch and independent exploration. Afterward, depart for Borgo a Mozzano and view the remarkable Ponte del Diavolo (Devil’s Bridge). Next, view the Gothic Line – built by the Germans, it was one of their last lines of defense during WWII. Visit the Museum of Liberation and see the actual fortifications and bunkers. Discover charming Siena with a local guide. Embark on a lovely walking tour through its narrow Gothic streets. Behold stunning palaces, mansions, and the historic Piazza del Campo along the way. Your day continues with a special visit to a Tuscan winery where you’ll meet the people behind some of Chianti‘s finest wines. Learn from experts as you savor a selection of the local varieties and find out why Tuscany still shines on the international wine stage. During your visit, learn about the art of winemaking and the process of making Italian olive oil. Explore the many historic sites in the ancient maritime Republic of Pisa, including the Piazza dei Miracoli (“Field of Miracles”) – a UNESCO World Heritage site. Be sure to have your camera handy for a stop at the famous Leaning Tower of Pisa so you, too, can take a picture that makes it appear as if you are holding this iconic structure up! The day is yours to relax and experience the local flavor. Take this opportunity to shop at the local boutiques and dine at one of the many fine local restaurants. Or, perhaps you will choose an optional excursion to Cinque Terre with its rugged coastline dotted with terraced vineyards to visit its nearly inaccessible string of fishing villages nestled between the mountains and the Mediterranean. Begin your day with a visit to a cheese factory where you’ll learn how the famous pecorino cheese is made. Then, sample it for yourself during a cheese tasting. 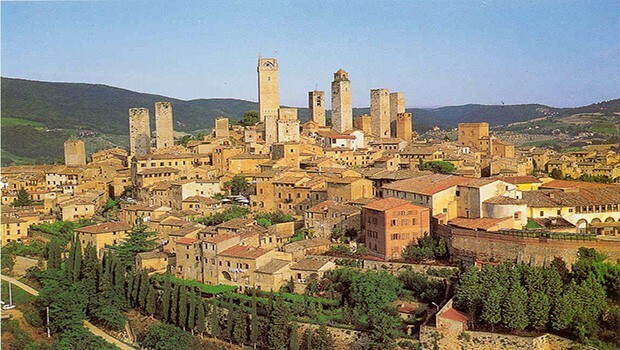 Afterward, travel to the hilltop village of San Gimignano, one of the most picturesque places in Tuscany. Explore this enchanting medieval town, from its famous 14 towers to its magnificent vistas overlooking the vineyards of Tuscany. Enjoy free time and perhaps indulge in some famous Italian gelato before visiting some of the town’s shops. A delightful experience awaits this evening when you attend a Tuscan feast featuring traditional cuisine and savory wines in the magical Tuscan countryside. Click here for Tuscany tour highlights and itinerary map.